A Burns Supper, a celebration of the life and poetry of Robert Burns, is celebrated on the poet’s birthday, 25 January. For many expat Scots it’s an opportunity to celebrate all things Scottish. I’m not Scottish, nor have I any Scottish heritage, but I’m not going to let that prevent me from embracing the occasion. I made the classic Scottish Cranachan late last year and while it has become one of my favourite desserts I felt it was (sadly) a little too soon to make it again. So I decided to make shortbread instead. I hold the firm belief that most desserts can be improved with the addition of alcohol and nuts. So I’ve taken a basic shortbread recipe from my Australian Women’s Weekly Big Book of Beautiful Biscuits and done just that. 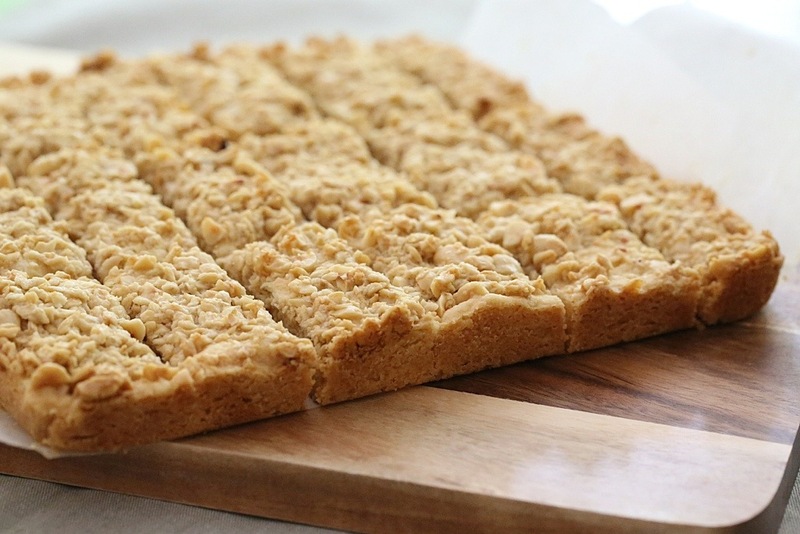 The hazelnuts give a lovely textural element while the whiskey adds a distinct but very subtle sweetness to the shortbread. I was a little disappointed that the whiskey flavour wasn’t more obvious so I might work on this recipe a bit more; but despite this, it was thoroughly delicious! How do you like your shortbread? Traditional or with a twist? Pre heat the oven to 150C (300F). Grease and line a 20cm (8 inch) square tin with baking paper. 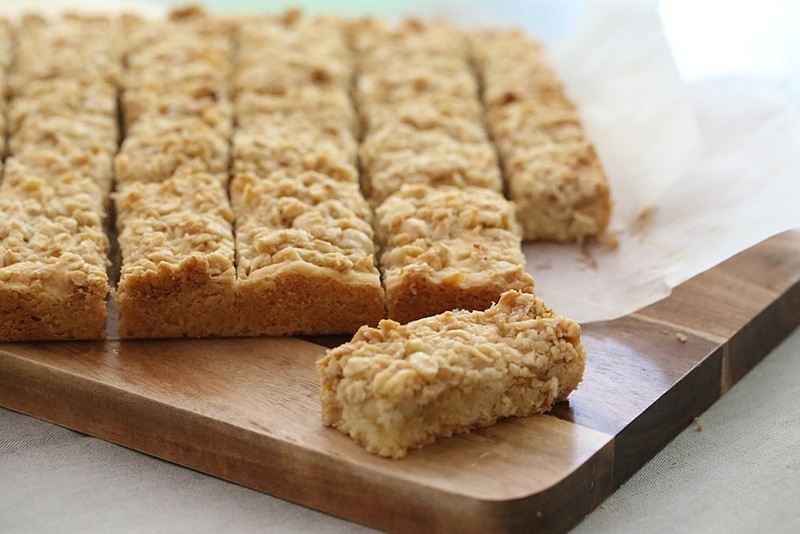 Place the oats and whiskey in a bowl and set aside to allow the oats to soak while you prepare the shortbread. Sift the plain flour, rice flour and salt together; set aside. Using either a standing or hand held mixer, cream 250g of butter with 1/3 cup of sugar until light and fluffy. Add the flours and salt and mix until just combined. Press into the prepared tin. To finish the topping, add the sugar, butter and hazelnuts to the scotch and oats. Spread evenly over the top of the shortbread. To make cutting easier once it is baked it’s best to score the top in to the shapes you want. Place in the oven and cook for about one hour. Cut the shortbread along the scored lines while it is still hot but allow to cool in the tin. Posted in Biscuits & CookiesTagged Australian Women's Weekly, AWW, Burns Supper, Chivas Regal, egg free, food, food photography, Robert Burns, Scotch whiskey, Scotland, shortbread, vegetarianBookmark the permalink. Thank you! It’s always fun to play with recipes.